Alisa brings more than 30 years of psychiatric hospital social work experience to her practice at Savant Care. 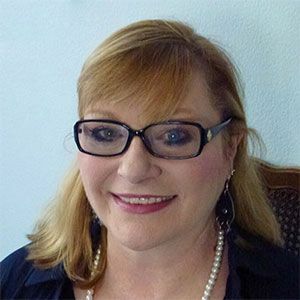 She holds a Bachelor of Science degree in Health Science and a Master of Social Work (MSW) degree, both from California State University at Long Beach (CSULB), where she wrote her master’s thesis on sexual trauma and selfharm. The strong cross-cultural emphasis within the CSULB MSW program, along with her extensive experience working with patients and fellow professionals from a wide variety of cultural, social, and ethnic backgrounds, affords her a keen sensitivity to the diversities within the Southern California population. She has been a Licensed Clinical Social Worker (LCSW) in the state of California since 1998. Alisa has a deep passion to help alleviate the suffering of those with psychiatric illnesses and other life challenges. She has integrated multiple therapeutic modalities to provide skilled, professional care to patients with many and varied diagnoses, including schizophrenia, psychotic disorders, bipolar disorders, addictions, depression, anxiety and panic disorders, and numerous other issues. She is also a firm believer in balancing the more serious aspects of life with the more enjoyable side of things. Some of her sources of enjoyment are going to Disneyland with family and watching movies. She also loves music and enjoys playing the flute with a local concert band, as well as for a kids’ musical theater orchestra at her church.